Overtures "Coriolan", "Leonora" No. 3, "Prometheus", "Fidelio", "Egmont"
Overtures "La forza del destino", "Nabucco"
Overtures "Der fliegende Holländer", "Die Meistersinger von Nürnberg", "Tristan and Isolda"
Conductor, pianist, violinist and composer, Guerassim Voronkov learned his art in his native Russia and practices it in a variety of ways, from composition to interpretation all the way to arts administration and concert production. His long-term collaboration with the Gran Teatre del Liceu in Barcelona, starting as a violinist in the orchestra, then as a vocal coach and, since 2002, as first assistant director, has allowed him to take part in more than fifty productions of operas by Wagner, Janácek, Tchaikovsky, Berg, Puccini and Richard Strauss, among many others. Guerassim Voronkov was born in Moscow in 1960. At the Central Music School of the Moscow Conservatory, he studied violin with Svetlana Bezrodnaia and piano with Anna Artobolevskaia, the latter who was a particularly major influence in his development. He completed his violin studies with Igor Bezrodni and orchestral and opera conducting with Yuri Simonov as an honor student at the Moscow P.I. Tchaikovsky Conservatory. He subsequently gave up the solo instruments to devote himself entirely to his true passions: orchestral conducting and composition. Between 1981 and 1990 he played first violin in the Bolshoi Orchestra, where he founded, in 1988, the Bolshoi Chamber Orchestra. In 1989, he was appointed music director of the Symphonic Orchestra of the School of the Moscow P.I. Tchaikovsky Conservatory, performing concerts and making recordings in Russia, Austria and France. At that time he was also invited to appear with different orchestras in the former Soviet Union. 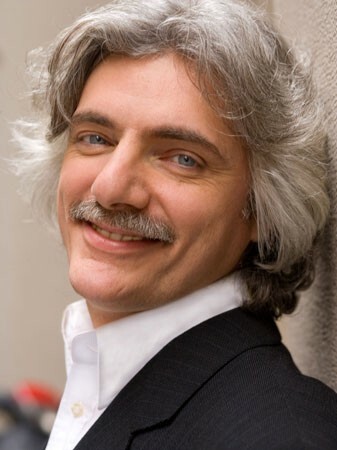 In 1991 he moved to Barcelona and since then has pursued his work as conductor, concert promoter and arts manager, including the founding of the Camerata Mediterranea Orchestra in 1993 with which he performed during its seven years of existence at numerous concerts and made recordings and radio programs. Since 1998, Guerassim Voronkov has led the Simfònica del Conservatori Superior del Liceu in Barcelona and, since 2004, has been the regular conductor of the Simfònica de l'Acadèmia of the Gran Teatre del Liceu. In 2012-14, Guerassim Voronkov toured with Rolando Villazón to present the tenor's Treasures of Belcanto recording, Verdi tour 2013 and Europe tour 2014. He is now an Associate Professor (Master of Conducting) at the Universidad Nacional de Colombia. 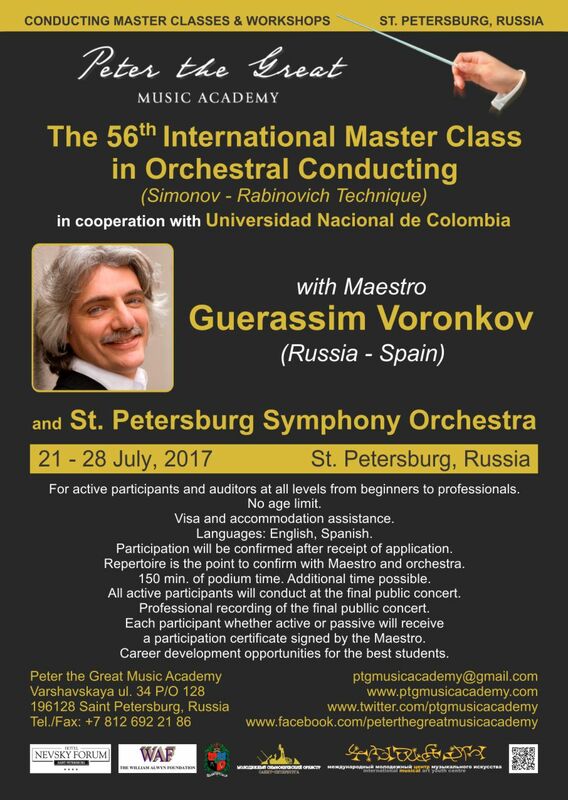 Guerassim Voronkov has conducted the Symphonic Orchestra of the Liceu, The London Philharmonic Orchestra, Czech National Symphony Orchestra, Estonian National Symphony Orchestra, Russian Philharmonic orchestra, Aalborg Symphony Orchestra, Filarmónica de Bogotá. He has worked with artists such as Rolando Villazon, Montserrat Caballé, Plácido Domingo, Elena Obraztsova among many others. His highlights as a composer include Paganiniana for string orchestra (2001), the suite based on the opera El gato con botas of Xavier Montsalvatge (2007), Barça-Champions (in celebration of FC Barcelona's second European Cup victory) (2006), a new ending to the opera Khovanshchine of Mussorgsky that was premiered in the Gran Teatre del Liceu in Barcelona in 2007, and soundtracks to Buster Keaton's silent movie The General (2013).